Scandinavians are notoriously tight-lipped in public with strangers. Stemming from the "Jante Law", a term explained by Danish-Norwegian author Aksel Sandemose as a series of unwritten rules that imply that no one should bring attention to themselves or declare that they are in any way superior to their fellow citizens, and a general respect for privacy, Scandinavians go about their daily business in a highly uniform and straight forward manner. Personal triumphs are played down and standing out is deemed undesirable which plays a part in the symmetric conformity of the culture there. 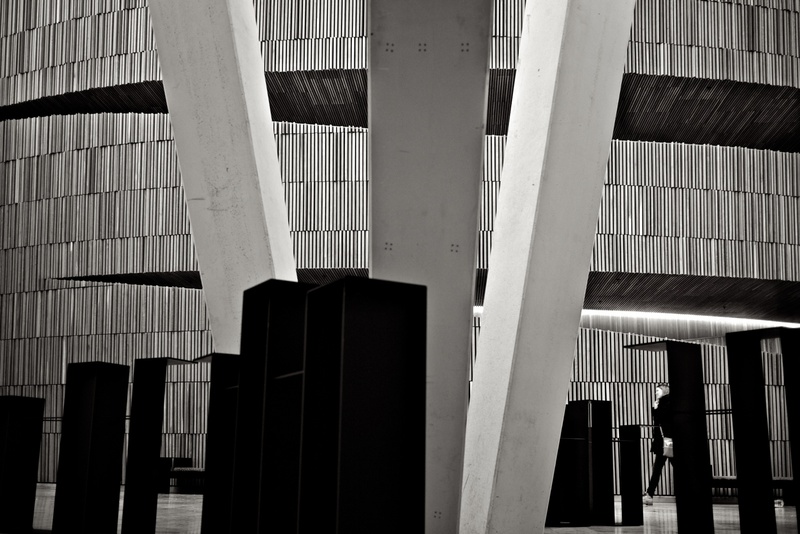 A woman walks through the lobby of the Oslo Opera House in Oslo, Norway on Nov. 22, 2010.